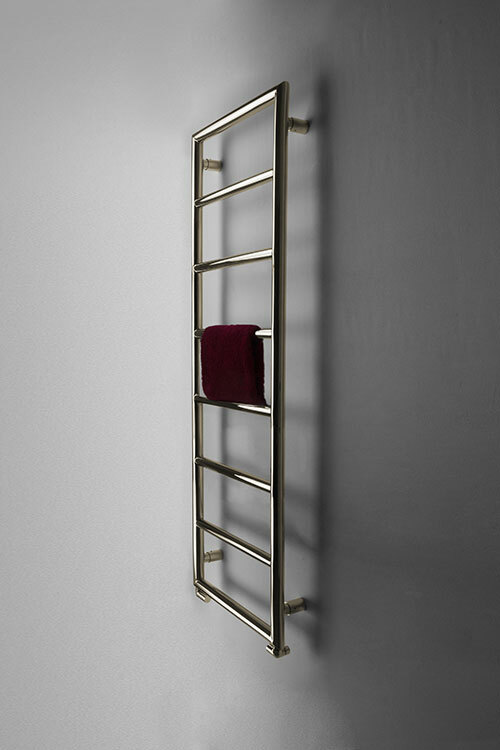 This simple nickel towel radiator is wall mounted, with evenly spaced bars for easy hanging of towels. 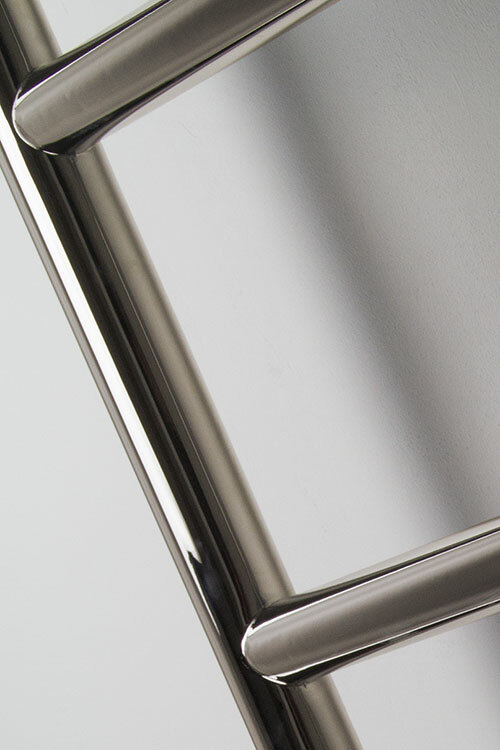 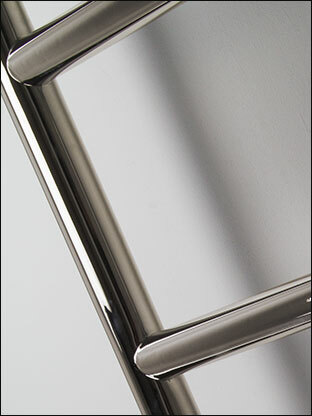 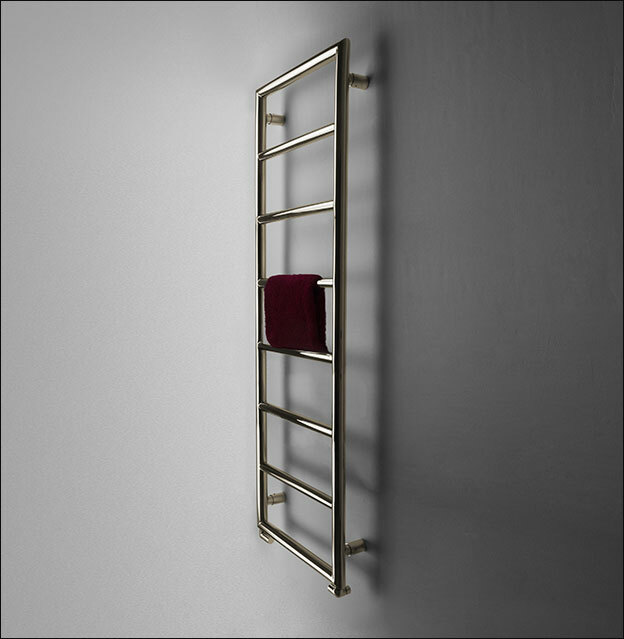 Made of high quality stainless steel with a polished nickel finish, this ladder towel rail's subtle styling will look great in modern or traditional bathrooms alike. 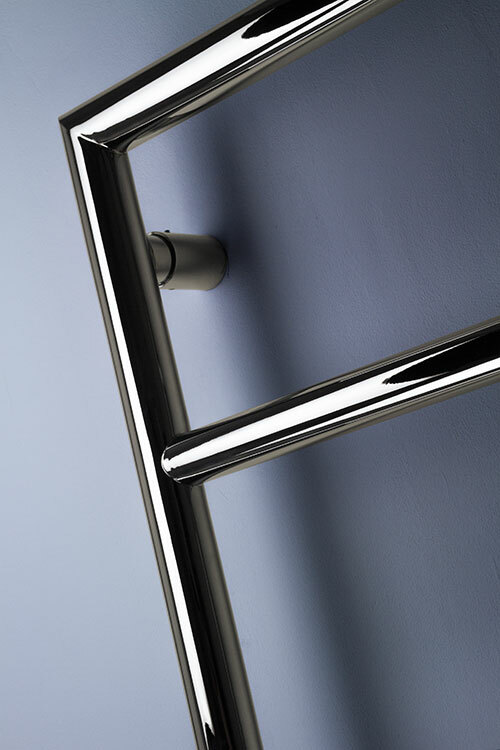 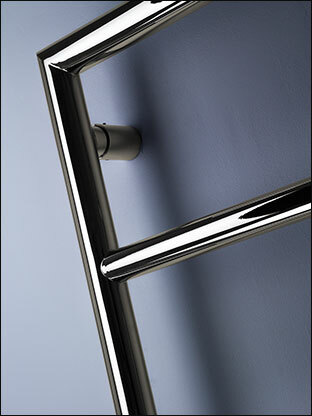 Available in 3 size options, this nickel towel warmer can be supplied for central heating, electric or dual fuel.